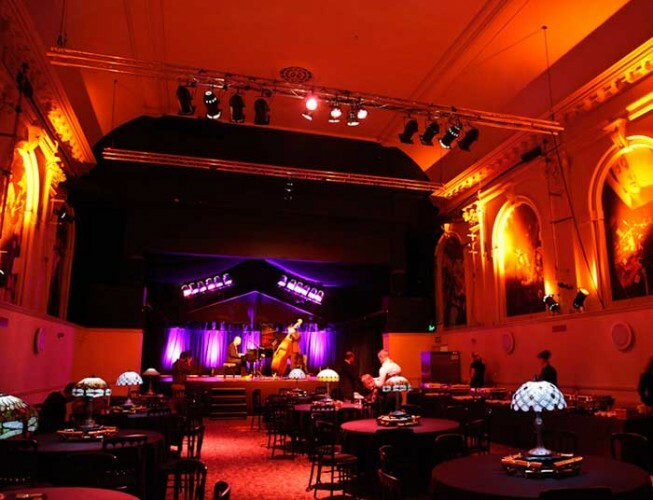 Utopium supplied the full event production for guests to get into the swing of things at Nokia’s 1920s themed Christmas party held at Colston Hall. Transporting guests back to the glamorous era, Utopium provided over 200 lighting fixtures to create the perfect ambience for the evening. This included Chauvet Well Uplighters, which were strategically placed throughout the venue to enhance its art-deco furnishings and original architectural features. The evening’s entertainment was held in the venue’s main auditorium where Utopium designed and installed a complete stage lighting package to accommodate the various performances. Acts included two live bands, a DJ, hula hooping and swing dancers. The team also supplied a 9m x 3m rear projection screen that enabled custom graphics to be displayed, as well as a feed from video DJ Cheeba. 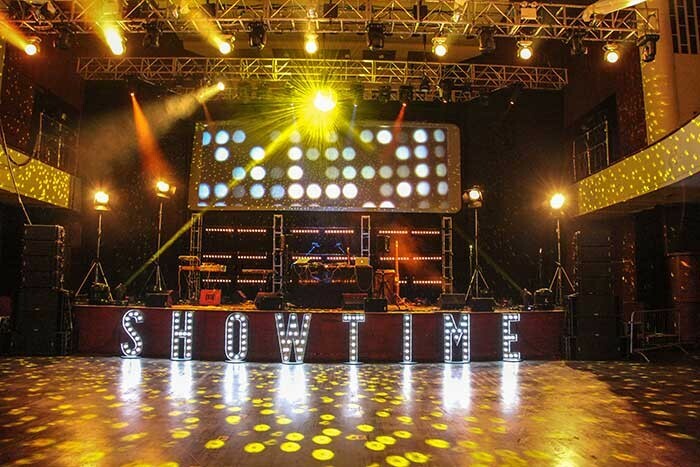 Throughout the venue Utopium used Showtec Sunstrips, Strand 5000W Fresnels, ARRI 600W Fresnels, ETC Source 4 25/50s and 15/30 zooms, Martin Mac 700s, Chauvet 230 SR Beams and Martin Mac 301 lighting fixtures to create the desired atmosphere for the evening. The company also supplied a large NEXO system providing PA for all the acts, and used stage flames to create 4m high flame balls for when the DJ was playing.